The Northfield Downtown Development Corporation (NDDC) is pleased to welcome Jeff Hasse and Julie Bixby to its Board of Directors. A native of Northfield, Hasse owns and operates three businesses in Northfield: the CountryInn, the AmericaInn and Oil Can Henry’s. He has previously served on Northfield Area Chamber of Commerce Board of Directors and currently serves on the board of the Convention and Visitors Bureau. Hasse is also an active supporter of the Northfield Hockey Association. Bixby’s parents owned a business in downtown Northfield during the 1980s and she currently manages The Contented Cow Pub and Chapati Indian Restaurant. Bixby has assisted with the planning and execution of the Taste of Northfield event since its inception, and served on the NDDC’s Marketing & Events Committee for a number of years. Hasse and Bixby replace former NDDC board members Dan Bergeson, who was required to rotate off the board after serving two consecutive three-year terms, and Mary Rossing, who resigned to serve as Mayor of Northfield. 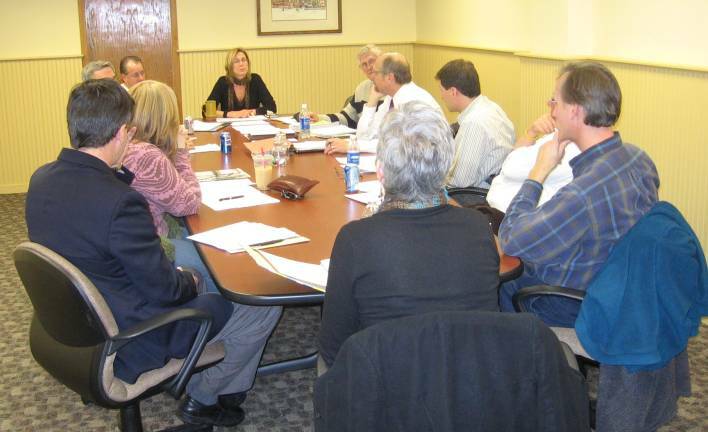 Hasse and Bixby join Mark Quinnell and Jessica Paxton (pictured here hard at work), who joined the NDDC Board of Directors in the fall of 2008, in order to complete the terms of Roger Kelm and Renee Huckle Mittelstaedt who both left Northfield to pursue professional opportunities. A graduate of Northfield High School, Quinnell has been the State Farm Insurance agent in Northfield for over twenty years. He is an active member and past president of the Northfield Rotary Club, a member of the Northfield Area Chamber of Commerce, a former board member of the Northfield United Way, and served as a task force member for two Northfield Public School projects. He has coached for the Northfield Youth Association baseball and basketball programs for many years and is an active volunteer at Emmaus Church. Paxton attended St. Olaf College in the 1980s and currently works in media relations at Carleton College. She has coordinated fund-raising efforts for various community organizations, including the Northfield Historical Society and the Northfield Arts Guild, in addition to co-producing ArtSwirl and serving on the NDDC’s Marketing & Events and Publicity & Communications Committees. Paxton is a member of WINGS (Women in Northfield Giving Support) and the Northfield Arts Guild board of directors. These four dynamic individuals join the NDDC’s existing team: Anastasia Balfany (freelance designer and former downtown business/building owner), Dave Shumway (First National Bank), Greg Kneser (St. Olaf College), Joe Grundhoefer (J. Grundy’s Rueb-N-Stein), Keith Covey (former Mayor and Carleton College director of facilities), Leanne Stremcha (visual artist and downtown building owner), Rob Schanilec (By All Means Graphics), and Robert Bierman (Bierman’s Home Furnishings & Floors). The NDDC Board looks forward to a year of exciting initiatives, successful collaborations, and productive accomplishments.